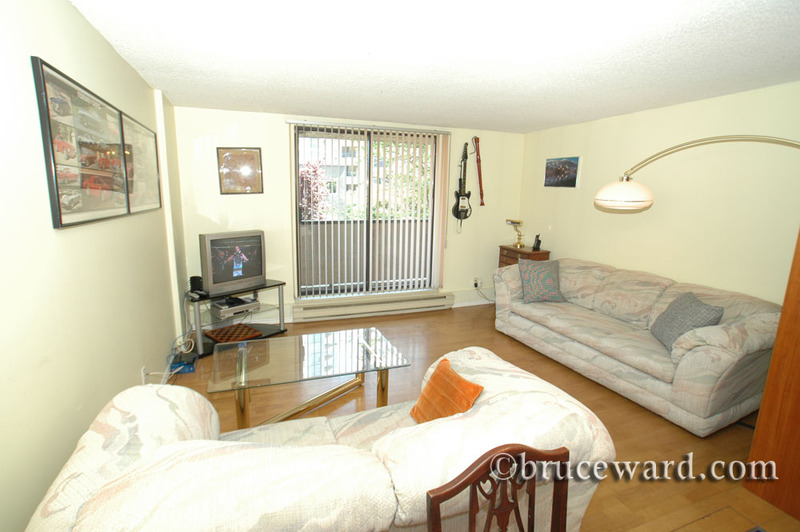 3rd floor spacious 1 bedroom original condition in older building on quiet street 1/2 block to Burrard and Robson Streets. Laminate floors, queen bed, work alcove in bedroom, open balcony, TV, wireless internet, shared laundry. Local shopping, restaurants, skytrain, theatres, and YMCA right at your doorstep. *No parking*. Minimum 1 month stay.